« Mey and Boaz Kahn were born in Israel and live in Jerusalem. They met during their studies at Bezalel, Academy of Art and Design, Jerusalem and got married after the second year. “Fragile” was the first project they were working on together. The hammer hanged above the K in our logo, represents the value of work and creation. It is one of the first working tools. 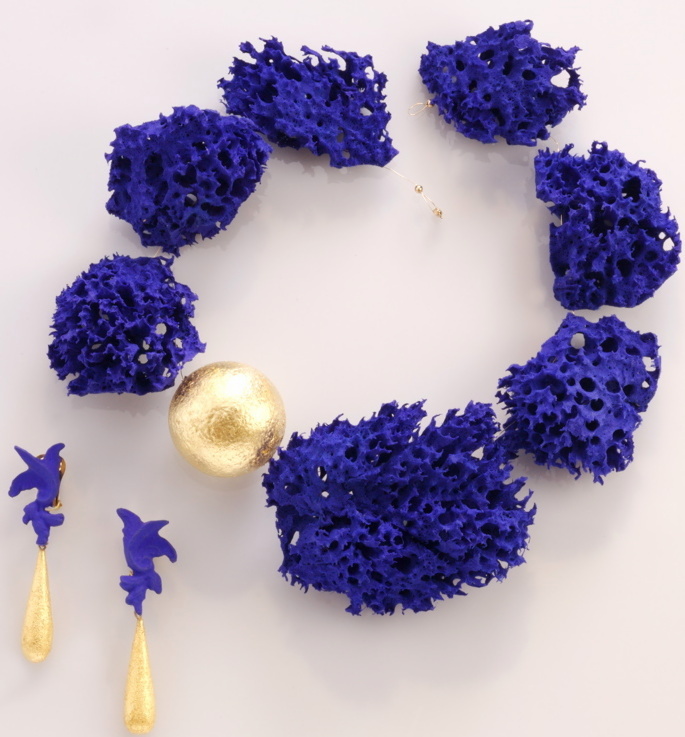 It also symbolizes an active attitude of the designer that brings cultural issues into the daily talk, we manufacture most of our products in-house in our studio and we develop them through a process that begins with a practical research with the materials. 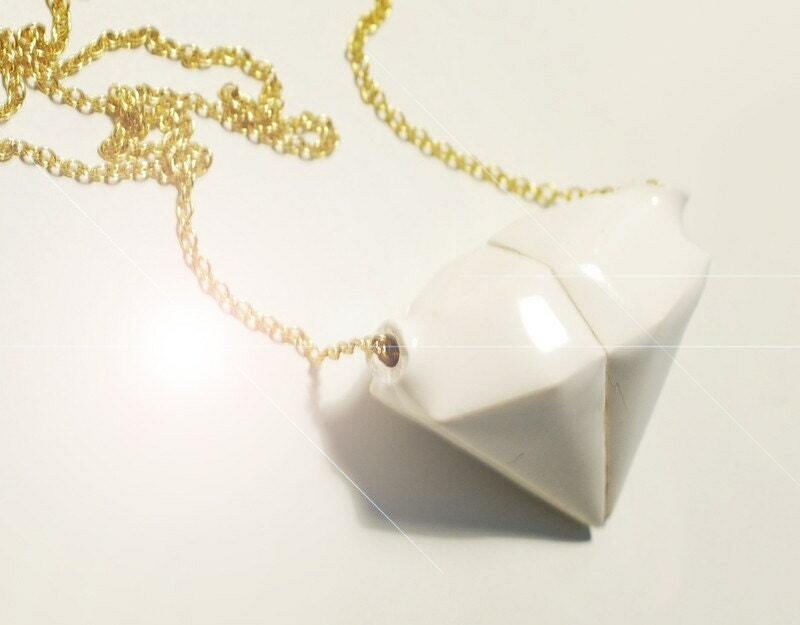 « This ceramic pendant looks like a closed tiny box when you buy it (pic no.5). After you snap it in the middle, you will discover a golden chain is pulling out of it. You wear it on the neck by connecting the two halfes using the magnet closer. When was the last time you emphatically broke something? 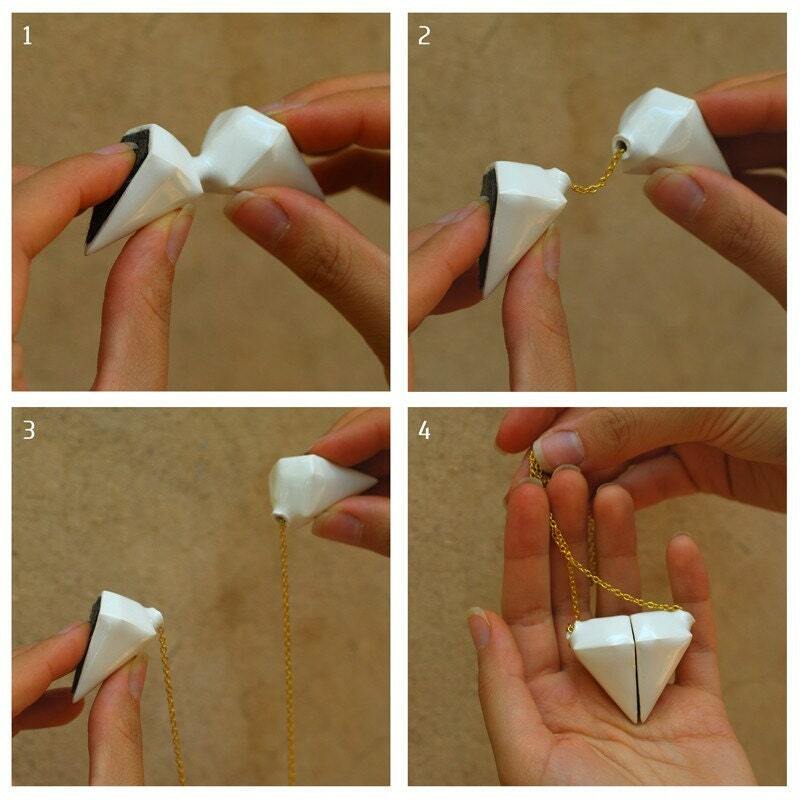 FRAGILE Magnetic Necklace offers you the opportunity to do so! Designed and made as a single piece, the FRAGILE Necklace requires the user to break it in order for it to be able to fulfill its functionality. Breaking is an experience of impulsive outburst, but this time is an act that builds rather than destroys. (before « snapping ») – The FRAGILE Necklace is part of a series called FRAGILE. each one of the products in this series must be broken by the user to become usefull. to SHOP on Etsy !